The advantages of changing to third-party router firmware is overlooked by most. 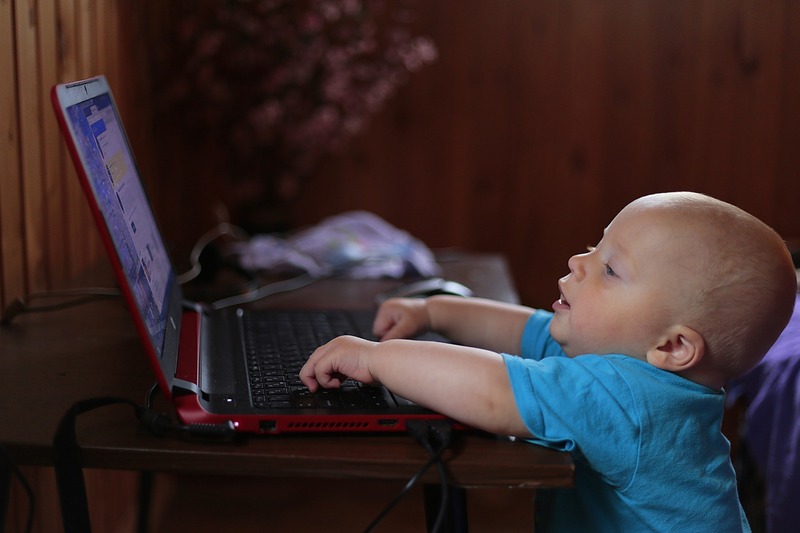 Even computer enthusiasts and gamers often neglect networking, partially due to disinterested. But, if you put in the effort to improve your home router or even small business office network, it can turn an ordinary consumer router into a high-end business class platform able to handle dozens more clients at once. The list of router models that can be flashed with DD-WRT Firmware is large and you can easily search your router model with the online database here. Choosing the ‘best’ network router for DD-WRT is usually the main question that comes to mind, but there is no definitive or ‘right’ answer. Truthfully, there are numerous fitting models, and it really depends on your needs, wants, and budget. Do you need high bandwidth Wi-Fi for 4k streaming and gaming? Or more wired LAN ports? Those are the kind of questions that really determine what router you should go for. Besides compatibility, try to answer what it is you wish to accomplish with your network. 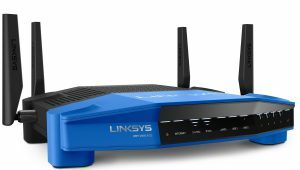 Linksys released a line of ‘WRT’ routers that celebrate the iconic WTR54GL. It sports similar looks, and comes unlocked and ready for open-source firmware. Flash with a single click. No need for guides or extra steps, simply download the latest compatible build for DD-WRT or OpenWRT, and install it directly from the user interface. For those looking for the easiest way to flash their routers, Linksys hits the mark with their open-source WRT line. Striking a balance between price and performance, the WRT-1900ACS is an attractive buy. The router is powered by a 1.6GHz dual-core Marvell CPU, and packs 512MB of DDR3 RAM. Dual-band Wi-Fi reaches a theoretical 1900Mbps of combined transfer speeds through AC1300 and N600. 4 external antennas feature Beamforming technology to better deliver signal to active devices. External storage ports include a 3.0 USB, as well as an eSata port that doubles as a 2.0 USB. Overall, the unit well balanced for medium to large homes, as well as small businesses. It can easily handle a dozen simultaneous users while delivering high definition streaming, gaming, and proper small business operational capacity. If the price is too high, consider looking at the WRT1200AC at on $99 on Amazon. Wi-Fi: Simultaneous Dual Band 2.4 + 5GHZ. 4 External Antennas. If you don’t mind a few extra steps to get your device flashed, the ASUS AC5300 has become a popular option for DD-WRT users that want the maximum performance on the wireless side. Overkill for most, but capable for streaming 4k, UHD video and gaming at low latency with ease. This monster router screams performance by sporting eight external antennas capable of theoretically covering 5,400 square feet with Beamforming tech. ASUS included MU-MIMO support which enables compatible devices to reach their maximum speeds. Tri-band 4×4 signal using 4 antennas to receive and 4 to send data across multiple devices simultaneously. On the LAN side, you can aggregate two ports for server setups and reach transfer speeds of 2 Gbps to bump from the standard 1Gbps per port. A USB 3.0 port is also available. Overall ASUS’s flagship RT-AC5300 is designed for those that want maximum Wi-Fi performance. 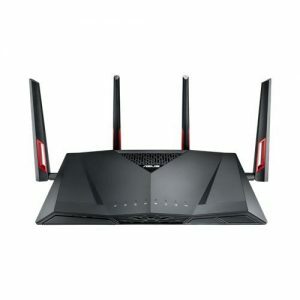 Be it for 4k, Ultra-HD or game streaming, this router delivers fast wireless access across a large space with no sweat. Not so well balanced for business and wired LAN users. Wi-Fi: 2.4 + 2x 5GHZ Tri-Band. 8 External Antennas with 4×4 MU-MIMO. 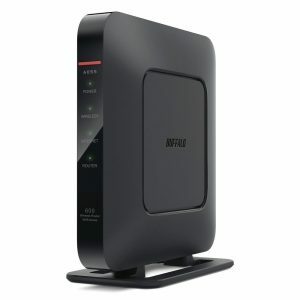 Netgear’s Nighthawk offers boosted wired connectivity and it combines it with advanced wireless AC2600 networking functionality. It takes the capacity of the Nighthawk R7000 to the next level. It features 4 external antennas and its 1.7 GHz Dual Core Processor is significantly more powerful. The high performance antennas and Beamforming+ technology enable you to get fantastic overage in every area of your home. This router is ideal for medium to large homes and it can support 10 devices and even more. With the R7800, you will be able to enjoy 4K video streaming and a smooth gaming experience. The router supports multi-user MIMO technology for increased power. It comes ready with incredibly fast twin USB 30 and eSATA. You will be able to access the storage whenever needed, no matter where you are. Wi-Fi: Tri-Band (1000+2166+2166). 8 External Antennas with 4×4 MU-MIMO. 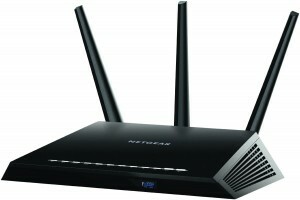 Netgear’s AC5300 – R8500 Tri-band Nighthawk has almost identical specs to the ASUS AC5300. but sports a sleeker look by having 4 internal, and 4 slimmer external antennas. But, it takes as much desk space with a footprint of 17″ x 10.5″. In a few easy steps, this router can be flashed to the latest compatible DD-WRT Kong firmware build. It has enough LAN connectivity for small and medium business offices, and the latest and greatest in Wi-Fi performance. The R8500 is the first AC5300 router to hit the market with the latest MU-MIMO, Tri-Band 4×4 technology. Once again, reaching theoretical wireless speeds of 5330Mbps by using two 5GHZ bands and one 2.4GHZ band simultaneously. The external antennas include amplifiers for coverage of very large homes and offices. Again similar to the ASUS TR-AC5300, Netgear’s model is capable of extreme wireless performance for 4k UHD and low latency gaming experience, but it outshine’s its competitor with better LAN and USB performance. A total of 6 Gigabit ethernet ports are available, with two aggregatable ports for faster data transmitting on NAS servers. Two USB ports, 3.0 and 2.0, provide fast transfer rates. Another ASUS model worth looking at is the RT-AC88U. It has similar specs to the RT-AC5300, but with a few key differences. 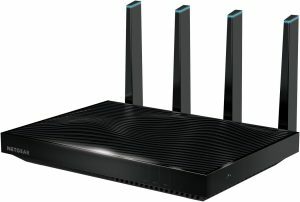 It drops the tri-band Wi-Fi in favor AC3100 dual-band speeds, and 4 additional LAN ports for a total of 8 gigabit ports. An RT-AC3100 model also exists with only 4 ports, This makes the RT-AC88U model much more favorable for extensive wired network users and business offices. The router can be flashed to DD-WRT by carefully following the required steps with the compatible build. The angular vented design features 4 external antennas that provide adequate signal coverage for most users, and make no mistake, it will handle 4k and low latency game streaming with ease. WiFi speeds of 3100Mbps on dual-ban also uses the same 4×4 MU-MIMO capable Broadcom chipset found on the ASUS RT-AC5300 and NETGEAR AC5300, although I could not find any information regarding any internal antennas. The gigabit ports can also be aggregated. A total of 2 USB ports, 3.0 and 2.0 are available but also reported to have poor transfer rate performance. Overall, a great choice if you need additional LAN ports, with solid wireless performance. Wi-Fi: 2.4 + 5GHZ Dual-Band. 4 External Antennas with 4×4 MU-MIMO. Initially back in 2014, the Buffalo Airstation AC1750 was my top pick for a DD-WRT device. Available pre-configured with DD-WRT firmware, there was no simpler or more affordable solution. The AC1750 was the flagship model of 3 DD-WRT models offered by Buffalo, and the first unit with 802.11ac Wi-Fi standard. It seems this model is now discontinued, and replaced by the AirStation AC1200 DD-WRT NXT. A close second in performance, but at a much more attractive price of under $100. It should be noted that the NXT version of DD-WRT is slimmed down, but provides all the most sought after and crucial functions, but custom firewall setups might require manual configuration. Overall, it’s one of the cheapest AC routers on the market, and comes with DD-WRT, no configuration required. Ideal for small and medium sized spaces. NETGEAR’s R7000 has remained a popular DD-WRT router throughout 2016. Easy to flash with open source support. Their AC1900 monster is powered by a 1Ghz dual-core processor, 3 extra powerful antennas with beam forming technology with amplifiers for maximum range. USB 3.0 + 2.0 ports. Although the stock firmware was initially less than desirable, performance DD-WRT Kong build firmware has always garnished great reviews and test results. Great for gaming and streaming media. 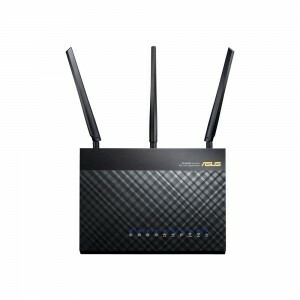 The ASUS RT-AC68U is almost identical to NETGEAR’s R7000. Their version of the AC1900 could be set standing straight up and take a smaller footprint as a result. More importantly, it was regularly tested as having better out of the box Wi-Fi range and speeds than the R7000. As of 2016, both are almost neck to neck when using DD-WRT. One USB 3.0, and one 2.0 port as well. Again, it’s a personal choice between ASUS and NETGEAR when it comes to performance. Maybe ASUS has slightly better Wi-Fi, but similar performance overall. 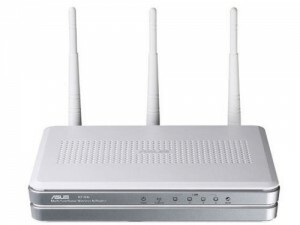 After more than five years The ASUS RT-N16 is still getting 5-star reviews on Amazon from DD-WRT users specifically. I personally fell in love with it, but don’t use the default firmware. This model is very easy and quick to flash and operates well under DD-WRT. Specs include 128MB of RAM and 32MB Flash memory, this router is capable of dependable VPN service handling and some basic media sharing, streaming, and gaming needs. Two USB 2.0 ports, 3 external antennas. Purchase are pre-configured and flashed model from FlashRouters. Purchase pre-flashed or unlocked routers for easy DD-WRT install. Purchase compatible models that often require a few additional steps to flash. With third party options such as DD-WRT, comes the often simple, but sometimes complex challenge of flashing the router yourself. So, let’s look at all the options available. As of 2016, some manufacturers have taken notice and action to customer demand levels for third party firmware options. As such, many models now come completely unlocked and ready to be flashed with a single click. All you need to do is download the compatible firmware of your choice, DD-WRT or OpenWRT for example, and open the file via the router’s control panel. But note that not all new models are as easy to flash. The first option of opting for a pre-configured device from a vendor such as FlashRouters is a sure bet if you absolutely despise having to configure anything. They also provide after sale support and configurations for VPN services. But all the upsides come at a considerable cost. Otherwise, you can look for out of the box DD-WRT or unlocked models such as the recent Linksys routers for easy flashing. That doesn’t mean you should shy away from another model if it fits your needs and budget, as the steps to flash DD-WRT are usually straight forward and clear, and can often be found with a quick google search or on the official DD-WRT forum. How Do I Install DD-WRT On My Router? The process is called ‘Flashing’. It is when we upgrade or change the firmware running a piece of hardware. The firmware is the built-in programming or operating system of any given device. For example; your Television runs firmware to be able to provide you with the menu interface and various programming options of the TV. The same goes for routers, the firmware is the OS software inside that runs the device and also that allows you to program it. If you are really not the techy kind of person, nowadays, some router manufacturers are taking the initiative to sell routers with DD-WRT as the default firmware. 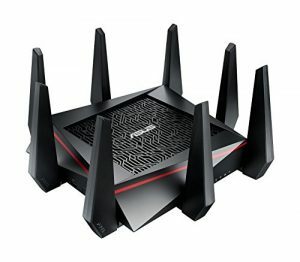 Others such as VPN providers are selling pre-configured routers as well. Before making the decision to flash your firmware, it’s important to note that installing third party OS options such as DD-WRT or Tomato, is usually a breach of the terms of service, effectively voiding all warranty and service on the router. You also risk irreparably damaging your router, especially if you do not follow the installation steps correctly. The first step in flashing your own router, is to verify compatibility, as we mentioned, you can quickly search on the official site for your model here or you can consult the whole list here. Before getting started, one thing to keep in mind, is that flashing your router will invalidate any existing warranty on your hardware. Unless it is an official firmware upgrade from the manufacturer, when you change for a different un-official firmware, the device becomes unsupported by the original manufacturer. We do not see this as a loss but there is always a very small risk of damaging the device if not done correctly. Nothing to really worry about, the official website has an extensive and very clear step-by-step installation guide. We suggest you take your time if you’re a newcomer, but encourage you to invite the challenge and broaden your capabilities just for trying. For more detailed steps, visit our how-to guide linked below. If it is still too daunting, don’t despair, look above – for each model of DD-WRT compatible router we suggest, you will find an option for Pre-Configured routers from professional merchants, and although it comes at an extra cost, the warranty, service, and perfect configuration is worth the money for individuals who are not familiar enough to take on the task of installing it themselves. What is DD-WRT? It’s a Linux based third party Open Source firmware that can be installed on a wide variety of WLAN routers. The firmware was designed to provide ease of use by making it as simple to customize as possible along with opening up a wide range of options that are usually not available on most out of the box routers. Say you purchase a consumer based router, they usually come with manufacturer developed firmware. The firmware is usually designed for easy setup wizards so that anyone can quickly install one and setup Wi-Fi. Although they do have some features ranging from one device to another, almost all consumer based routers are kept very basic and many functions and options are just not available. Even worse, for years consumers have been subjected to sub-par quality software plagued with bugs and performance issues. Why is this? One reason is because it is designed for every day users, a limited interface is presented. Additionally, we also feel that all the great options are reserved for more expensive high-end consumer routers and business grade routers. We see it happen with professional photography cameras, where a mid-range camera’s hardware is capable of doing what a high-end camera can do simply by replacing factory settings with better free Open Sourced developed firmware. What Are Some Of The Advantages With DD-WRT? DD-WRT is extensive, and arguably the best network router firmware available for some applications. The amount of features it unlocks is way too long to list. This is great, but also can cause a bit of unnecessary confusion. Some user feedback suggests that Tomato is better for its’ simple graphical interface, and less buggy thanks to a slimmer list of unlocked features. To learn more about alternative options, head to our DD-WRT vs OpenWRT vs Tomato article. VPN – One of the main reasons we love DD-WRT, is its’ ability to ensure that all devices on the network pass through the VPN service all done through the router. This is great when using devices that are not compatible or VPN ready. Devices like gaming consoles, Smart Phones, Apple TV, Google TV, Tables, anything really. The great advantage is not having to individually setup those devices on your local network. 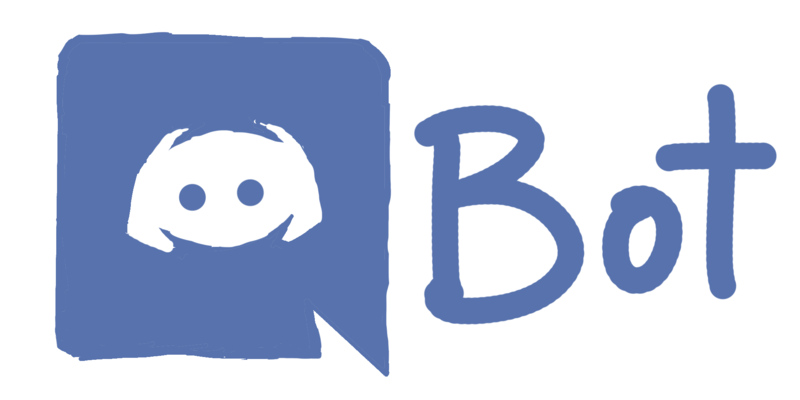 All done for you! Quality of Service Controls (QoS) – Allows you to control how much bandwidth to allocate to each device or network. For example, you can limit bandwidth on work machines that only require email or easily set recommended values for Voice-Over-IP (VOIP) services. In the case of home services, it’s a great option for gaming and UPnP video streaming. Wi-Fi Bridging – DD-WRT routers can be easily configured as Wi-Fi repeaters, allowing you to strategically place additional routers at your home or business as extenders to be able to project the signal across longer distances, floors and thicker walls. Wi-Fi Hotspot Management – If you need to provide a hotspot, DD-WRT provides indispensable advanced configuration improvements on this end. Shared Network Printers – The ability to share a USB connected printer anywhere on the network. It can be otherwise difficult to have many computers using a printer that is only connected to another single computer by USB. This effectively removes the need for a network capable printer or having to pass a network cable. Shared Network Storage (NAS) – Easily share network storage drives connected to the router. Network bays are often used for extra storage but new routers often have USB ports allowing for external drives or flash sticks to be connected without an Ethernet network cable. DD-WRT allows for both types of connected storage units to be shared across the network. Xlink Kai – The ability to incorporate Xlink Kai is a great bonus for gamers. Xlink Kai is a global gaming network that encompasses Xbox, Xbox 360, Playstation 2 and 3 and PSP users under one roof. It runs software on Mac and PC and allows free online play. We can expect them to be around for long and keep adding new consoles with time. DNS Cache – DNS Caching is a feature that saves website host name information. Every time you visit a website, it looks up the domain hostname to load the website. This effectively eliminates one step in the process, making your favorite websites load faster every time. Ad Blocking – Automatically block online advertisement directly from the router’s GUI. Analytics & Tweaking – DD-WRT provides great performance and bandwidth statistics along with visual graphic charts. The amount of customizable options does becomes too rich to cover them all. It is a dream for the techy-type or network gurus, even if you are a beginner, it is good grounds to start learning more about setting up networks the proper way. Being open sourced, it will continue to pass the test of time and improve as technology advances.